From October 21st until October 27th, Writers Helping Writers is posting an OPEN CALL for writers. Fill out a form to request help with critiques, book visibility, social media sharing, blog diagnostics, advice, and more. 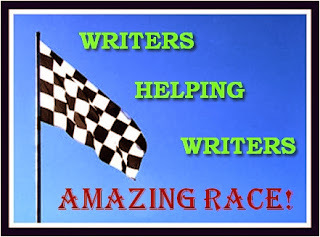 An army of Amazing Racers are standing by (me included), waiting to help with your submissions. How many people can we help in a week? Let’s find out! 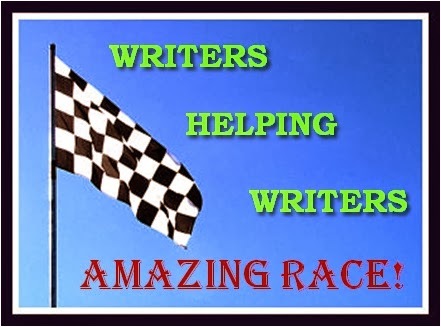 Did I mention there are Celebrity Racers too–amazing authors and editors who know their way around a first page. Maybe one of them will pick your submission to help with! Each day this week, there’s an AMAZING giveaway, too. So stop in at Angela & Becca’s new Writers Helping Writers website and find out how to take advantage of this unique, pay-it-forward event for writers.